The whole focus of this website is Hoveton Great Broad – but what is a ‘broad’ and what makes this one so special? ‘Broads’ are the shallow lakes that give the area its name. You’d be forgiven for thinking that these lakes are entirely natural – and up until fairly recently, that’s what everyone else thought. Then, in the 1950s Dr. Joyce Lambert discovered that the Broads are in fact ‘man-made’. They were created by digging out peat, which was then dried and used for fuel. More than 900 million cubic feet of peat were extracted from the broads in the Middle Ages. Over time these peat diggings became flooded and created the wetland landscape that we know today. This wetland habitat is of international importance, supporting over 11,067 species including 31 found almost exclusively in The Broads. Today The Broads National Park is a very important area for tourism, with over 8 million visitors generating £568 million every year. Why is this place so important? 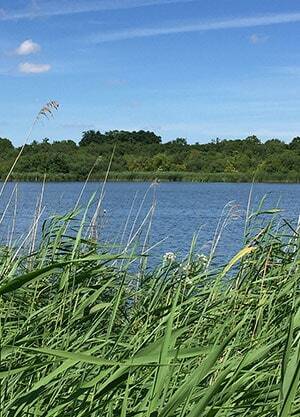 To use the scientific jargon, Hoveton Great Broad is a ‘natural eutrophic lake’. In other words, it is a clear shallow lake rich in plants and animals……or so it should be. 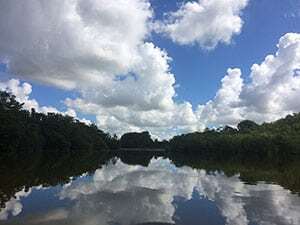 When you look down into the water, it should be like looking into an aquarium – beautifully clear, full of a variety of plants (including rarities like water soldier), with fish swimming through the underwater ‘jungle’, chasing beetles and bugs of all shapes and sizes. Above, the air should be a-buzz with dragonflies, damselflies and other insects. The whole place should be alive with birds – dabbling ducks, coots, swans, herons and kingfishers, with birds of prey circling overhead and warblers darting amongst the reedy margins. Because of its potential to support such a rich variety of life, Hoveton Great Broad is heavily protected under a variety of designations. It lies within The Broads ‘Special Area of Conservation (SAC)’ – one of 254 sites in England that support the country’s rarest and most important habitats and species. These special wildlife-rich lakes are only found within 3 of these SACs, which is why it’s so important that we protect each and every one of them! Hoveton Great Broad is also part of Broadland Special Protection Area (SPA) – one of the country’s most important places for birds. Rare species such as marsh harrier, bittern, osprey, shoveler and gadwall use the broad every year, with even rarer species such as sea eagles occasionally visiting. 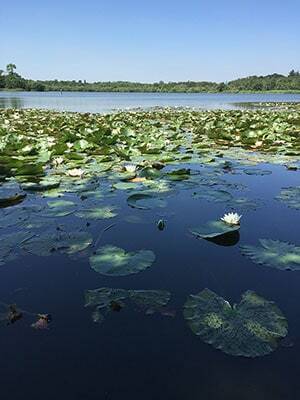 To find out how we will restore Hoveton Great Broad, click here.